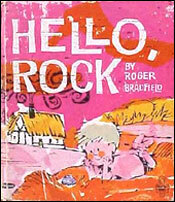 (1924- ) Well, we didn't know a thing about Roger Bradfield, until he found this site and sent us an email himself! 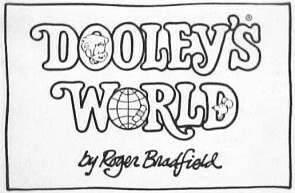 Besides his wonderful children's books, he is also the creator of Dooley's World comic strip and a watercolor painter. Visit his great website for more info. 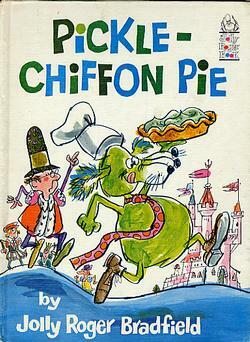 The most requested Bradfield title at Loganberry is Pickle-Chiffon Pie. 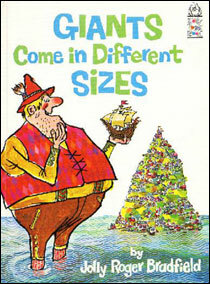 It had been out of print for decades, and quite sought after. 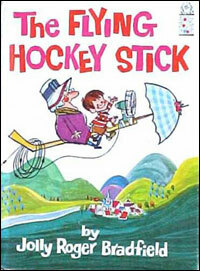 Then Purple House Press brought this gem back into print, and is now working on The Flying Hockey Stick too! Woo-hoo! 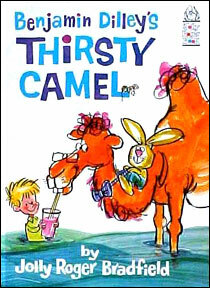 Benjamin Dilley's Thirsty Camel. Rand McNally, 1967. 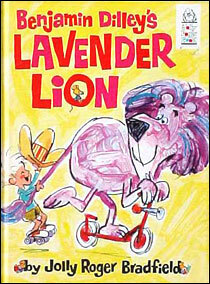 Benjamin Dilley's Lavender Lion. 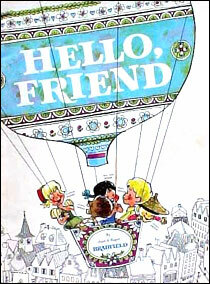 Rand McNally, 1968. 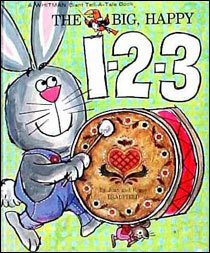 The Big, Happy 1-2-3. Rand McNally, 1965. 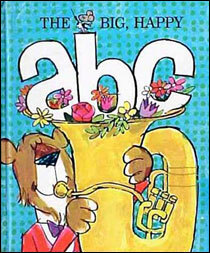 The Big, Happy A-B-C. Rand McNally, 1965. 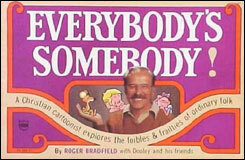 Everybody's Somebody! Rand McNally, 1977. * The Flying Hockey Stick. Rand McNally, 1966. Purple House Press, 2005. Giants Come in Different Sizes. Rand McNally, 1966. 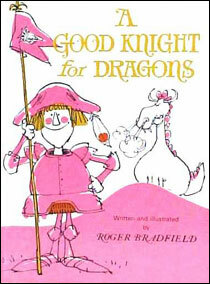 A Good Knight for Dragons. Rand McNally, 1967. Hello, Friend. Rand McNally, 1965. Hello, Rock. Rand McNally, 1965. Our family got a divorce. by Carolyn E. Phillips, design and ill. by Roger Bradfield. GL Regal Books, 1979. * Pickle-Chiffon Pie. Rand McNally, 1967. Purple House Press, 2004. 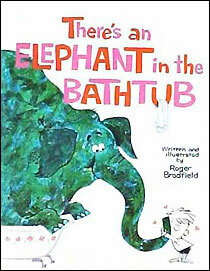 There's an Elephant in the Bathtub. Rand McNally, 1964.
Who Are You? Rand McNally, 1966.